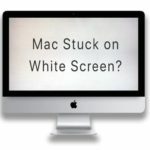 For older MacBook owners, we are all too familiar with the numerous El Capitan problems that you had to put up with since it came out. We hope that you can mitigate all these start-up issues. It appears that the newer (post-2012) Macbooks running El Capitan seem to be doing well. 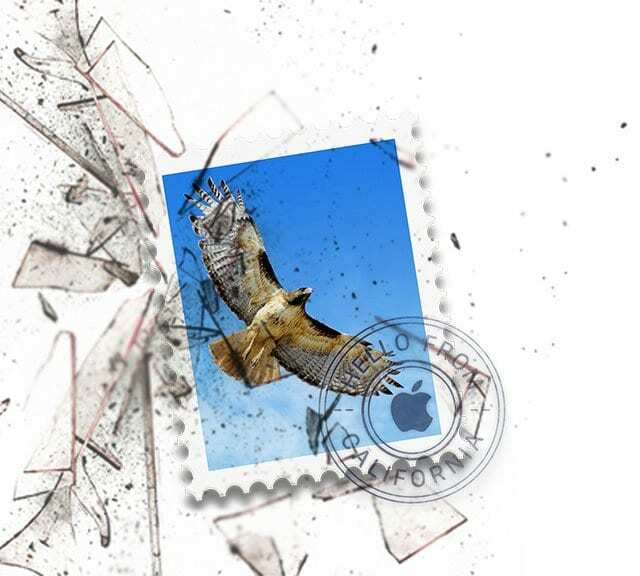 However, a few users point out that they have some challenges using the Mail App on their Macs after the upgrade to El Capitan. Specifically, readers report that their Mail app keeps crashing with El Capitan. Nothing is more annoying than the app crash on you while you are in the process of either drafting an email or trying to open your mail to check your inbox. 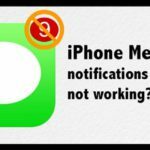 There could be many issues that may be causing your Mail app to crash regularly. 4 Mail App’s crash unrelated to damaged email? 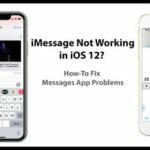 In this article, we cover some of the common problems associated with the crashing of the Mail app and provide tips on how to mitigate those issues. Simple is indeed better. Thanks to our reader Kal for this great tip! So before you do anything, turn off all your email accounts without even opening the Mail app at all, by going to System Preferences > Internet Accounts and disable ALL your email accounts. WARNING: Deleting an account or turning off individual account features might remove data stored in your apps. 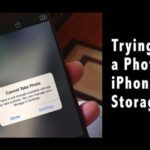 If you sync with iCloud or turned on sync with other providers (like Google), your data is stored on their servers so your data loss should be temporary. To remove an account and turn off all its features, highlight the account and click the Remove button. 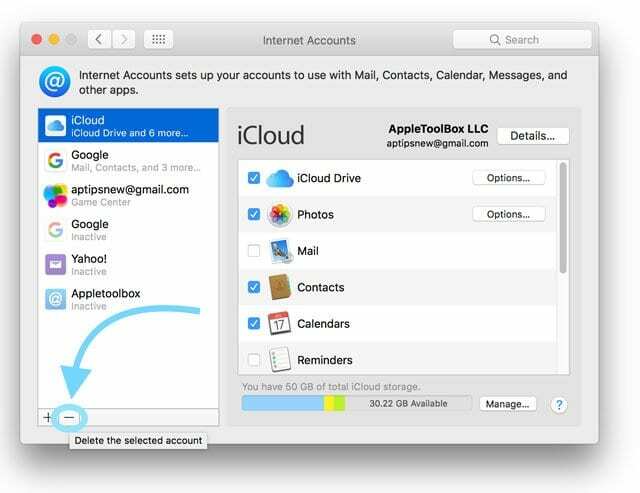 If you delete an account AND your Mac has iCloud Keychain enabled, Apple also removes this account from your other Mac computers set up for iCloud Keychain. 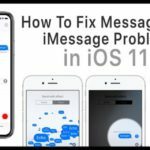 One of the common causes for the problem of mail app keeps crashing with El Capitan is trying to open an email that is damaged due to some reason. The chances are that Mail may continue to crash as long as you have this email in your folders. It is hard to pinpoint which of the items may be causing this issue. If you see an email from a sender that you don’t recognize, or your app crashes when you try to open this email, this could be the culprit. Click on your Mail app to open it and immediately hold the Shift key until Mail opens. This action causes your Mail App to open without any message or mailbox selected. Hide the message viewer portion of the window by carefully dragging the thin separator bar between it and your list of messages. Keep dragging until Mail shows only the list of messages, not the message viewer. In this view, you can see messages only by double-clicking to open the message. With this step, you may need to reset some of your personalized formatting options, such as reviewing your Mail Preferences and resizing your window panes, and width of columns, etc. Click the affected message once to select it without opening it. Then press Delete or choose Message > Move to > Trash. Mail App’s crash unrelated to damaged email? 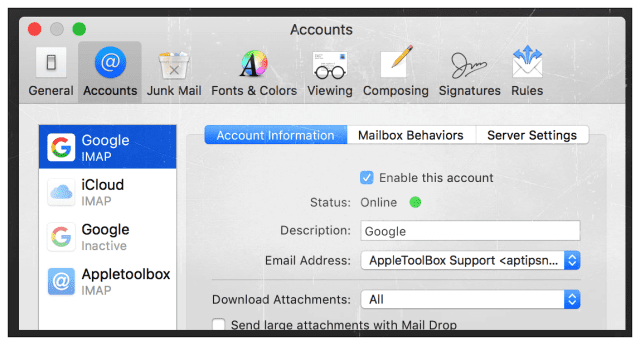 If the Mail crash issue was not related to a particular corrupted email, then you need to follow the following steps to make the application work. Please note that you may have to recreate your custom stationery after following the steps below. Click on Go and Go To on the Top Menu as shown in the image below. This action opens the various application container folders. 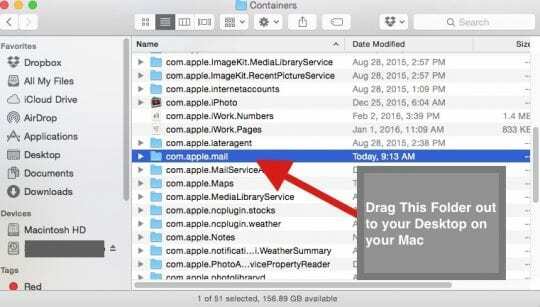 Drag the Com.Apple.Mail folder out of here on your desktop. Drag the folder onto your desktop. Follow Step – 1 from above BUT this time around, search for the following file “com.Apple.MailServiceAgent’. Drag that file to your desktop. 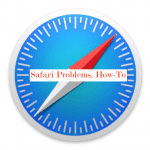 This method usually fixes most of the sudden crash issues on your Mac. If you are still experiencing Mail app keeps crashing with El Capitan or similar problems, consider re-installing the app into your Mac. 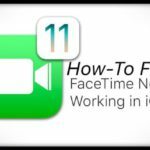 Or set-up a visit (or chat) with Apple Support, at an Apple Store, via telephone, or online. David figured his problem with the Mail App was related to a corrupt hard drive. So he recommends to backup your entire Mac or MacBook using Time Machine or another backup method of your choice. Once backed up, restart your MacBook, delete the hard drive configuration, then format the hard drive again. After formatting, restart your Mac and restore from that recent backup using Time Machine. After doing this series of steps, David found his Mail app now works fine! I figured out there was a problem with a message in my Outbox, and Mail kept trying to send the email each time the app opened. What worked for me was turning wifi off, then opening Mail (with the shift key held down) and deleting any messages stuck in the Outbox. Once cleared, connect back to WiFi. my case of mail crashing might be caused by corrupted hard drive (SSD), it seems by formatting the hard drive fixed the issue. Thanks for your very logical and systematic article, which helped me think through the process. In my case, it turned out to be an errant “nudge” from my gmail account which crashed my email client. Your process of turning off internet access and adding account by account made all the difference in the world for me. Was able to find and delete the culprit by using the Turn Off WiFi method. Working now. Question: I had removed folders ‘com.apple.mailserviceagent’ and ‘com.apple.mail’. Do I need to put these back into my system folder? I’ll let them hang on my desktop until I hear. 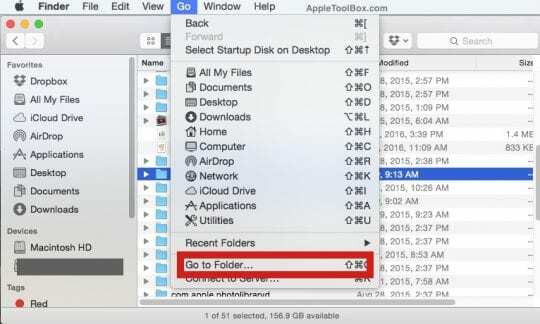 Once you remove those folder to a new location, your macOS Mac OS X should recreate them. It’s a good idea to check and verify this indeed occurred. If so, you can trash those files. If your Mac did not recreate the files, let us know. Thank you! My mail is back! Thank you for the information. I had problems with Apple Mail on Mac OS High Sierra and it now works!!! Awesome Harold! Thanks for letting us know these tips helped. I actually tried the above fixes but none of them worked. Mail still kept crashing at strat-up. But going through the container folder I deleted files in the “Mail Downloads” folder and everything now works fine. A download was probably corrupted. Granted I will probably lose those attachments but since I already moved the ones not causing the problem to my desktop should not be a big deal. Thanks for sharing. Yes, that makes total sense and a great tip! We’ll add it into the suggestions–I’m sure there are others impacted by this same problem of corrupted Mail Downloads. Thank you for sharing with the community. Thanks for the article. Unfortunately, none of these suggestions worked for me—Mail kept crashing on startup. 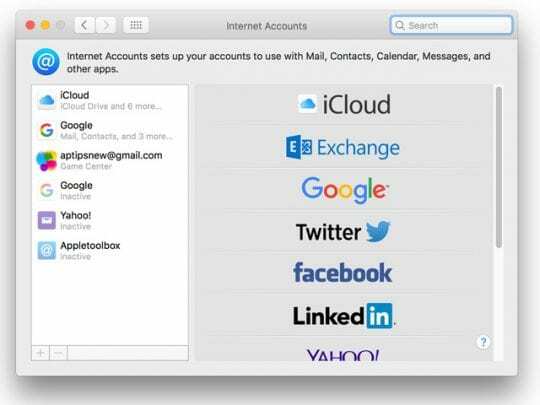 But an Apple forum post reminded me that you can turn off email accounts without opening the Mail app at all, by going to ‘System Preferences > Internet Accounts’. After disabling all accounts, Mail opened fine. Then turning them back on one at a time revealed the culprit—an Exchange account I didn’t need anymore. Thanks for sharing your tip! That’s a good one. We’ll surely add that into the article since that will help a lot of folks too. 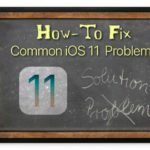 Many thanks for this – having put up withis for weeks, I followed Step 2 directions, and it completely solved the crashing problem. Note: once fixed, you will have to reset some of your chosen formatting options in Apple Mail. e.g. I prefer the ‘classic’ look which is a tick-box setting in Preferences. e.g. you will need to resize your window panes, and width of columns etc. But a small price to pay!! Thanks for the additional tips following step 2! Glad this one worked for you. Hello, I followed option 2 by moving the folders to the desktop. However, when I restarted comp., they were still there. Are they supposed to be or can I put them back? I’d prefer to not have them there. Thank you for your time. Your computer should have recreated those folders in the same positions from where you dragged them to the desktop. Follow the article again, this time checking if those folders were recreated. Don’t move anything, just check. If they are not there, move the folders that you originally placed on the desktop into the trash. BUT don’t empty the trash just yet. Restart again and check if your Mail App works as expected. If so, you don’t need the files in your trash. You can now empty the trash. If your Mail app isn’t responding as expected, then there is something in those folders you need. Leave them on the desktop for now. If you are bothered by them, create a new desktop folder called OLD MAIL or some such, and place all those folders in it. Usually Mail works just fine and you can empty the trash. Yippee! Thank you for letting us know it worked. Mail was crashing upon opening, and holding the shift key down didn’t fix it. I finally figured out there was a problem with a message in the Outbox, and Mail kept trying to send the email each time the app opened. What worked was turning wi-fi off and disconnecting my Ethernet cable, then opening Mail (with the shift key held down, though I don’t know if that was necessary at that point) and deleting the offending message. Then I connected to the Internet again, and all was well. After fighting with this for hours (I have better things to do) I stumbled onto your reply and presto! problem solved! Thanks Donna you saved me from tearing out the last of my hair. I then tried resending the email and was back to square one. So what on earth do we do? I want to communicate with this person from my iMac in future. Thanks! Step one fixed the issue I was having with not being able to see any Mail windows when opening the app. I have an early 2011 Macbook Pro. I have used Mail stationary a lot over the last years, and it is with Yosemite and El Capitan that problems began to arise when using stationary… Mail sometimes crashes and I can’t see any window when reopening Mail, or my stationary mail draft gets locked up and I can no longer edit it… have to remake the stationary that I was working on. I haven’t yet upgraded to Sierra… maybe it will fix these issues?? I upgraded to Sierra thinking it might help but it doesn’t. 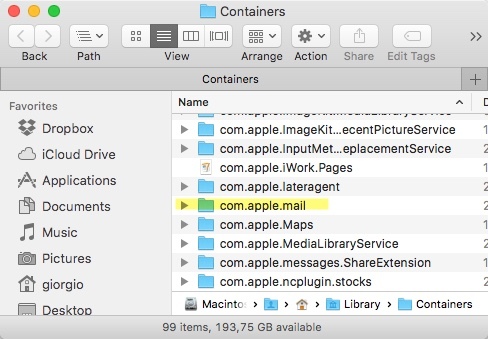 I copied and pasted ~/Library/Containers/com.apple.MailServiceAgent but it says “The folder can’t be found”. Help! Hi, like Tom I have no “com.apple.MailServiceAgent”. I have moved “com.apple.mail” to desktop, opens and then crashes while trying to download new mail. Any suggestions? Rick, when searching in the finder, search for the entire file path ~/Library/Containers/com.apple.MailServiceAgent. Just checked again, it’s there. When you say “get rid” of the files, do you mean remove them from the desktop by putting them back in the container folder, or by putting them in the trash? Allison, Remove the files from the container folder and move them to your desktop. Once you restart your mac and your mail works without the issues, you can discard these files into trash. Good luck! Do I just leave those on the desktop permanently? Tom, Once your mail starts working fine, you can get rid of these files. Thank you so much for this post! Changing the window view so it wouldn’t launch the actual messages helped me delete two problematic emails that repeatedly made Mail crash yesterday. 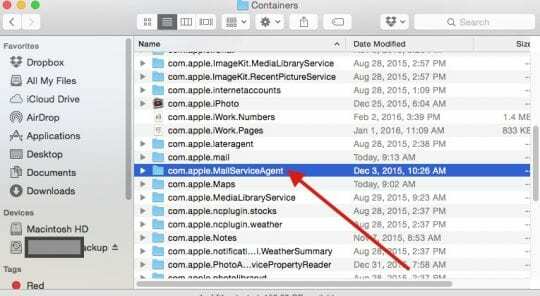 In El Capitan 10.11.5, there is no file “com.apple.MailServiceAgent”. George, Have you tried moving the ~Library/Containers/com.apple.mail into your desktop and re-starting.Good luck.